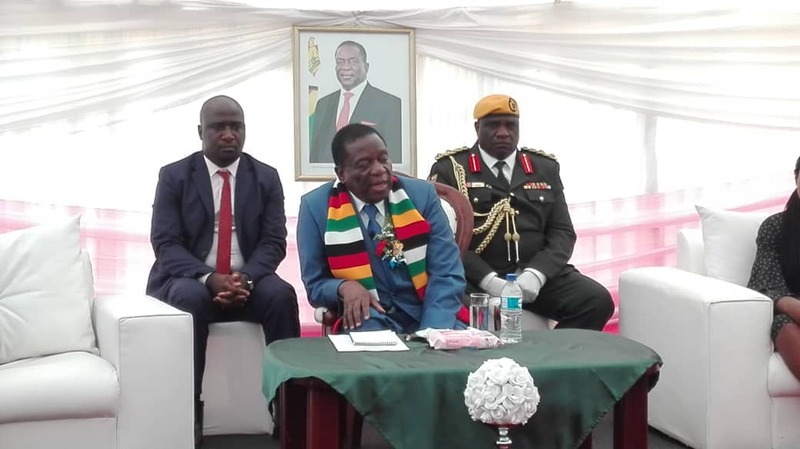 President Emmerson Mnangagwa has reached out to the private sector to offer assistance to government in mobilizing resources towards the Cyclone Idai victims as supplies to the affected areas remain critical. Owing to government’s failure to set up a properly funded disaster management fund to mitigate effects of such natural occurrences, the Mnangagwa administration has been overwhelmed by the work at hand. Addressing captains of industry and business leaders invited at State House today, President Mnangagwa admitted government did not have the capacity to reconstruct affected areas and called for business sector support. ‘This is why I called you, that as industry and commerce, what can we do? I have no answer, but I felt that my role and my team is to call you and tell you the challenge which we are facing so that those among you who may feel compassionate can interrogate themselves and say what shall we do or what shall I do,” said Mnangagwa. Mnangagwa called for companies to adopt schools, bridges and other key infrastructure projects and focus on reconstructing them with renaming them after their company names as a “sweetener” to lure suitors. “I appeal to you and with your own influence, networking and connections to rise and support the reconstruction of the lives of these communities. So I encourage you as captains of industry and churches to adopt not only one but more schools and build classrooms,” said Mnangagwa. Among the pledges made by the business sector was Turnall Holdings who pledged to supply roofing materials to schools in Chimanimani. Proplastics donated 25 borehole casings, Spar’s pledge to adopt 500 children and send them to boarding schools near Harare while Grain Miller Association of Zimbabwe pledged to feed all school children in the affected areas. Observers have called on government to strengthen its security mechanisms to curb the challenges of theft of relief aid amid fears of looting. Last week police recovered suspected stolen materials from the donations in Rusape. Cyclone Idai is the deadliest natural phenomenon to ever hit Zimbabwe, and has so far claimed 344 lives with about 158 more bodies suspected to be of Zimbabwean origin that were discovered along the river streams in Mozambique.